To make quotations, sales orders, purchase orders, invoices, and vouchers by very simple steps. Prepare documents by coping from another one. No need to type same content on different document again and again. 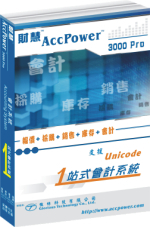 By combining comprehensive business management tools with professional accounting basic, AccPower 3000 Pro is capable of handling General Ledger, Account Receivable, Account Payable, Inventory Control, Sales and Purchases Control, etc. 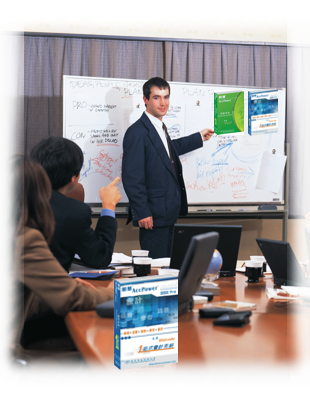 – and can generate detailed business analysis in minutes without human mistake and tremendous saving on efforts. is POS management software that runs on a personal computer and connects with a range of hardware peripherals, such as barcode readers, electronic cash drawers , printers and pole displays. 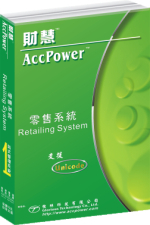 AccPower Retailing System captures information about the sale and how it was processed (e.g. cash, credit card or cash card, etc). AccPower Retailing System matches this information up with information that's been entered into the system, such as Vendor Invoice and Stock Adjustment, providing a complete sales and stock management solution. User friendly design streamlines the many tedious manual retailing tasks into a few keystrokes - and can immediately access to accurate information, and analyze business data.